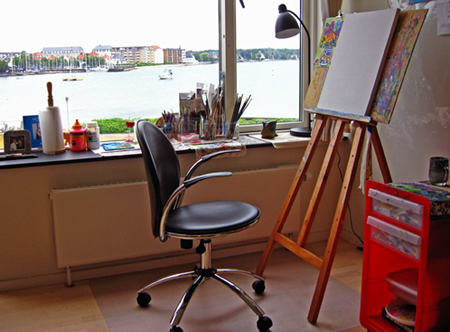 Take a peek into my studio and See what inspires me to create my paintings and what’s been happening in my studio and on my travels. I love to travel, see new places and meet new people. 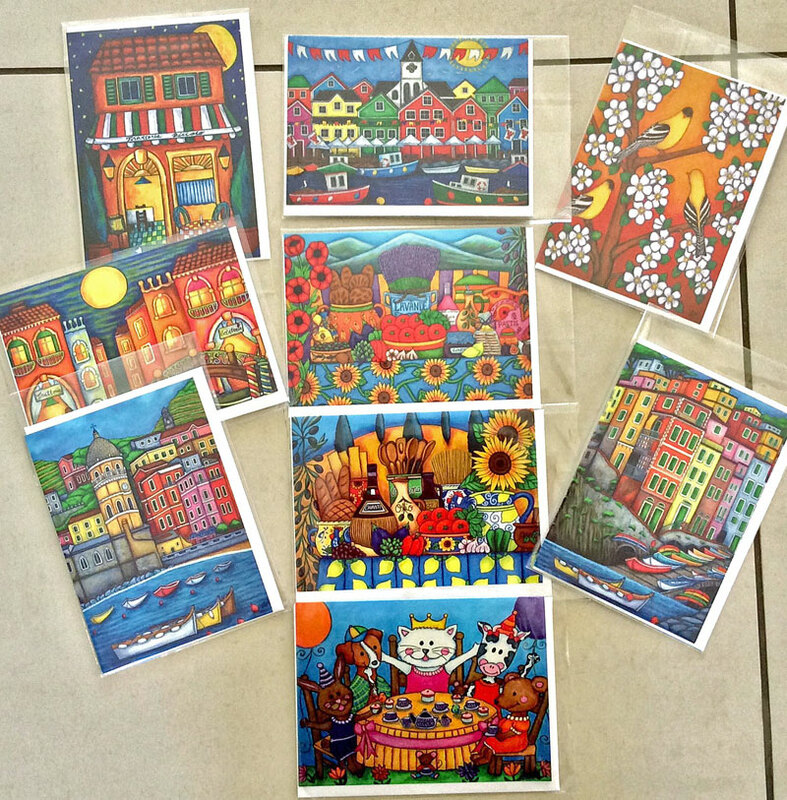 I love to create bold colourful paintings, many of them based on my wonderful travels. 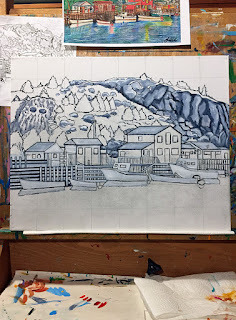 Hi Everyone, Some WIP pics, Back to work on my Quidi Vidi Newfoundland painting. 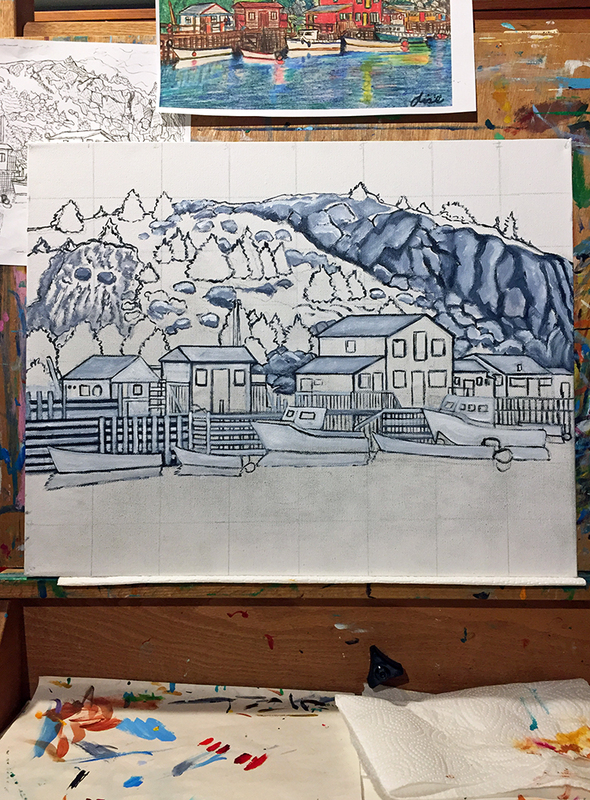 Drawing on canvas and I prepared and underpainting in grisailles done (paynes grey,white) Will now start blocking in some colour. 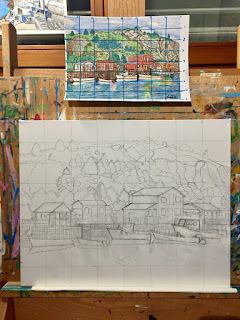 Welcome to my Studio Blog! 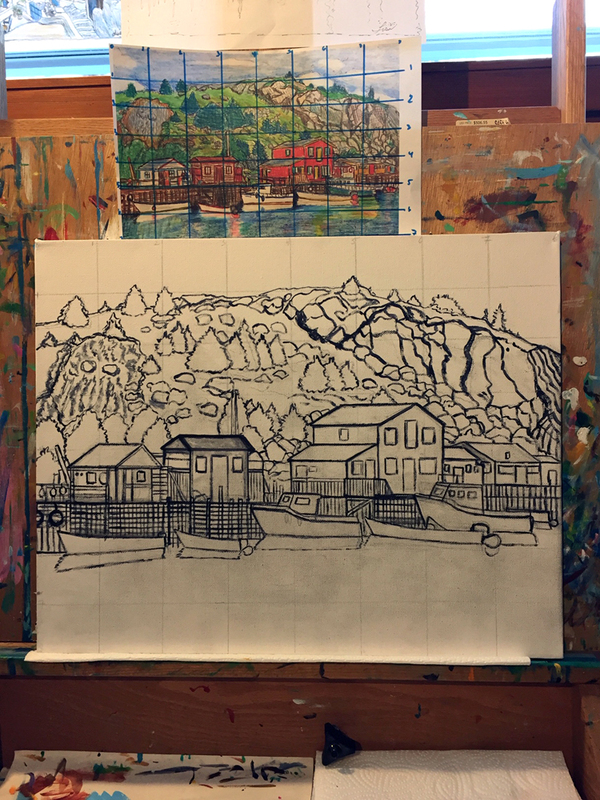 See what's been happening in my studio and on my travels. 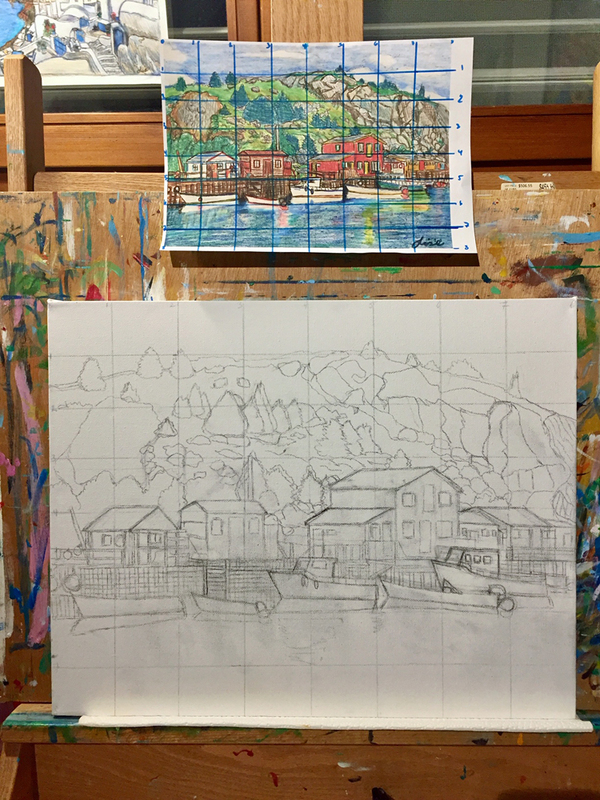 Exuberantly and cheerfully is the way I like to live and the way I like to paint. 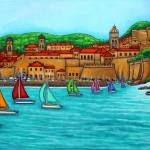 I love to travel and meet new people and many of my paintings are based on my travels. 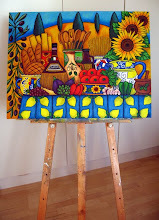 I love to create cheerful, bright, stylized paintings. I work from my imagination, infusing my own playful personality into my work. I work mainly with acrylics, which I adore for their intensity and versatility. 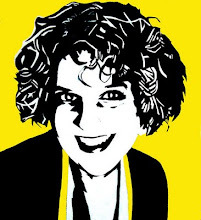 I paint with bright colours, bold lines and experiment with juxtaposition of colors, shapes, patterns and perspectives. 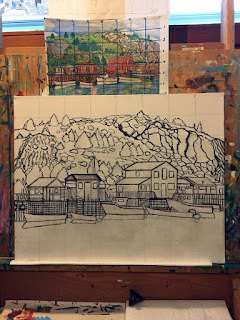 Follow Lisa's board Painting and Art on Pinterest.